Hace 44 años mi padre no había nacido, hace 24 años mi padre veía como España machacaba a Dinamarca y jugaba la final de la Eurocopa ante Francia. España perdió esa final y mi padre – que le gustaba algo el fútbol cuando era pequeño- sufrió un disgusto terrible. 14 años después el viejo se compro una camiseta oficial adidas de la selección – la que podéis ver en las fotos- y además fue a los EEUU. En Boston Italia y España jugaron un partido decisivo que ganó Italia. España jugo mucho mejor, pero fue Italia quien ganó. Al viejo le cogió tal berrinche que se quito la camiseta y la tiro de mala manera, lleno de mala leche juró pasar del fútbol. (cosa que ha hecho). 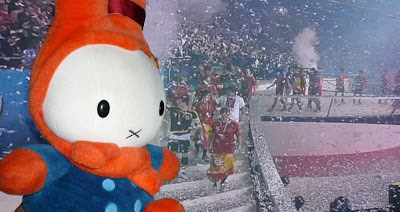 Hoy el equipo que ha jugado el mejor fútbol ha ganado la Eurocopa. Un equipo de jugadores jóvenes con un entrenador anciano que juegan el balón como si fuesen brasileños ha ganado a un equipo, el Alemán, que era más alto, más fuerte pero fatalmente lento y de mucha peor calidad. 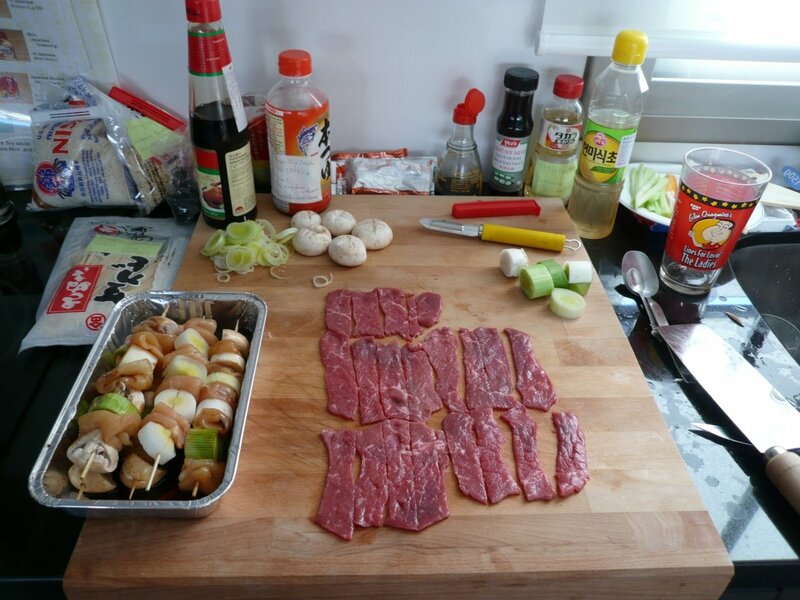 Esta receta, había sido siempre desastrosa para la selección. Pero aparte del juego, del buen juego y de la suerte por primera vez hemos visto que los jugadores jugaban sin especular sobre el resultado. Felicidades viejo, pues volver a ponerte orgulloso esa maldita camiseta. 44 years ago my Father was not born, 24 year ago my Father watched how Spain defeated Denmark and Spain played the Final Match against France. 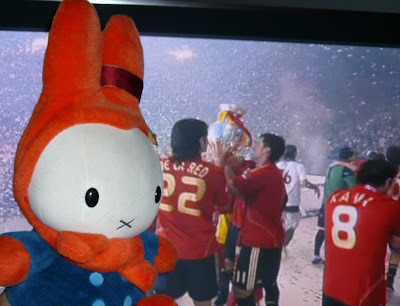 Spain lost that final and my father – who liked football when younger- was terrible upset. 14 year ago my father bought an official Adidas T-shirt – the one you can see on the picture- and went to USA. In Boston Italy and Spain played a decisive match that finally Italy won. Spain played better football but Italy won that match. Father Bunny was so mad that he removed his t-shirt off, throwed it away and filled up with anger promised he will not support the Spanish team anymore. Today the team who played the best football won the European Championship. A team of young players who manage the ball as if they were from Brazil defeated a German team who was higher, stronger but fatally slower and worse players. This recipe has always been a disaster for the Spanish soccer team. But apart from play and luck for the first time the players have been playing the same whether they were winning or loosing. I do not like football, but I think that fate owed that victory to people like my father. Congratulations father, now you can wear again that doomed shirt. 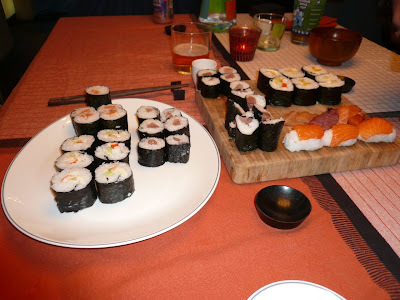 Miffo is a certified Japanese cooker. 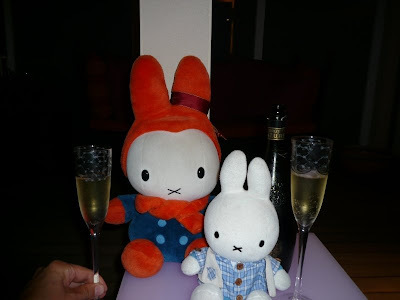 After one year in Tokyo (Japan) she was able to enter into Cafemiffy’s. They taught her a lot of basic techniques and some advanced ones. 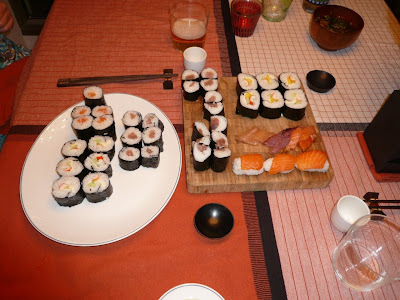 Miffo’s patience and dedication made her to achieve a great knowledge of basic Japanese cooking. Still some room to improve. But the overall experience has been superb. A girl called Marja from the Netherlands has written me a note asking me how many sisters I have. She also was wondering if mine was the greatest bunny family on the net. Asking first the last question I definitely say that my family is not the bigger. 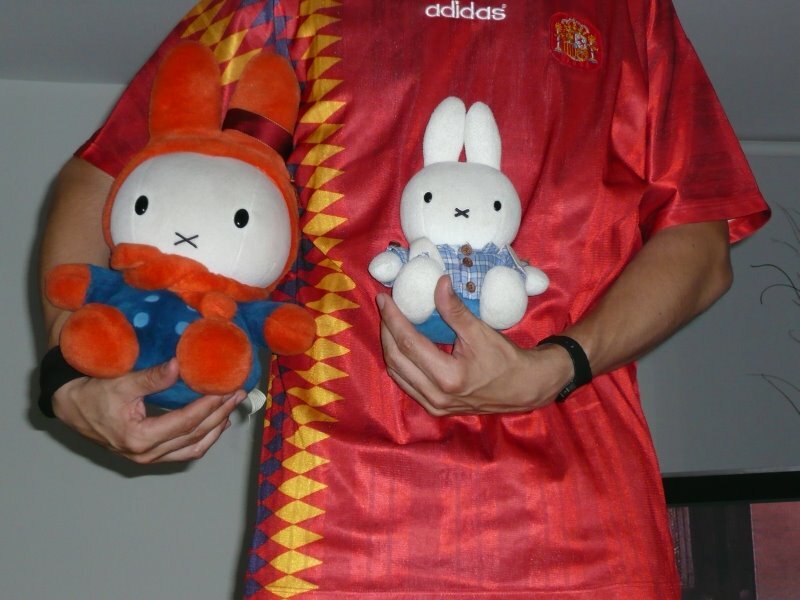 Of course I have no idea about who has the biggest one but I know that miffyto has more than 60 sisters and our friends from Cafemiffy almost that much. And to answer the first question I have decided to post every week or so a detailed bio of all my sisters. Notes She is huge, almost twice as tall as her sisters. While living at Rambla Catalunya she used to sit in a nice old chair that seemed to be built for her. She is very calm and loves to be at home reading and watching TV. 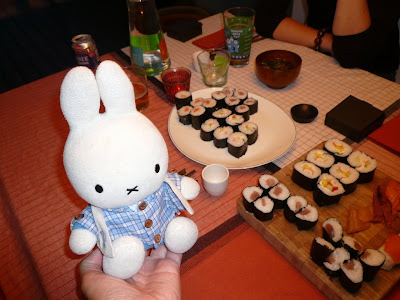 Mother Bunny is on a business travel (or at least that is what he just told Father Bunny) and my sisters were so excited about the new gift that our friends from Japan sent us last week that the atmosphere at home was getting really thick. I must say Father Bunny is quite good cooker but he has a great defect – he does not like sweets – and even worse he has no idea about how to make cookies. 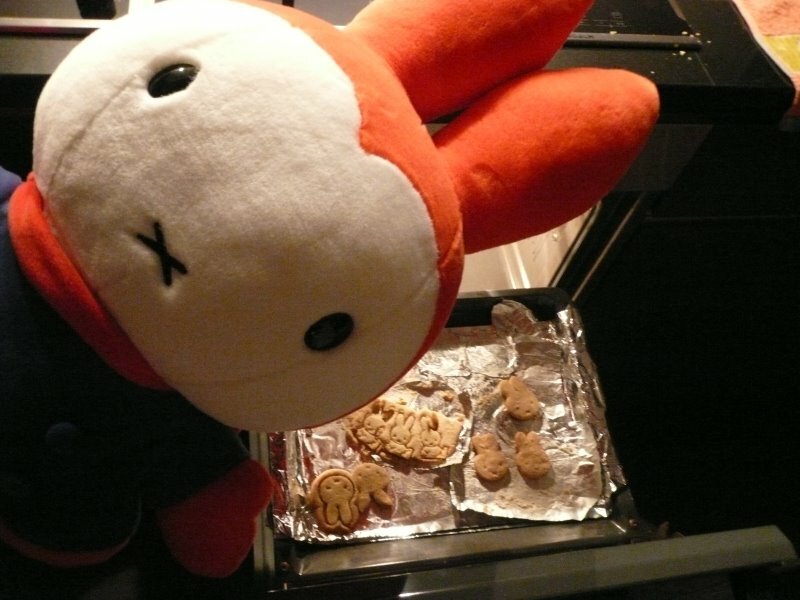 He and Ookina download a recipe from the Internet – Butter cookies– They taste good but they’re extremely hard to mould and de-mould with a 36 Celsius environment. I knew it would happen, but I swear you they were there almost an hour dealing with the butter cookies. 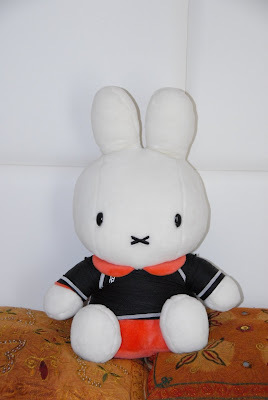 Please do not check the original Miffy cookies here.